Gray has surged to popularity in the bedroom, and it isn’t just because of a certain novel with a titillating plot. Once thought of as dark, depressing, or cave-like, the new crop of gray paints has thrown those old misconceptions right out the window. Used right, gray can be a whisper of tranquil background color, a strong statement of contemporary style, or an intermediary that plays nicely with just about any other color on the spectrum. If your room receives little natural light, which is typical of many bedrooms, you can fool the eye into seeing the space as airier and lighter with a soft, shimmering gray. If you crave a sophisticated, elegant style, look to the darker hues of this versatile neutral. Give gray walls crisp freshness with white trim, or create a romantic yet contemporary vibe with black or darker gray trim and doors. The color gray is traditionally created by various mixtures of white and black, but today, nearly every color family from every paint manufacturer now comes with an array of grays near the muted end of the hue, carrying hints of that color. There are warm grays and cool grays, reddish grays and yellowish grays, green-grays and purple-grays. Grays of this type can make an excellent neutral match for stronger versions of the same color used to tint the gray. Here are eight shades of gray that look great in the bedroom. Here's a soft shade of gray with a green undertone. Try Valspar's Sage Morsel with medium shades of pink and green for a feminine look, or combine it with stronger blues for a modern, tranquil feel. It's a sophisticated color with just enough interest to hold it's own, yet it isn't overwhelming or dramatic. 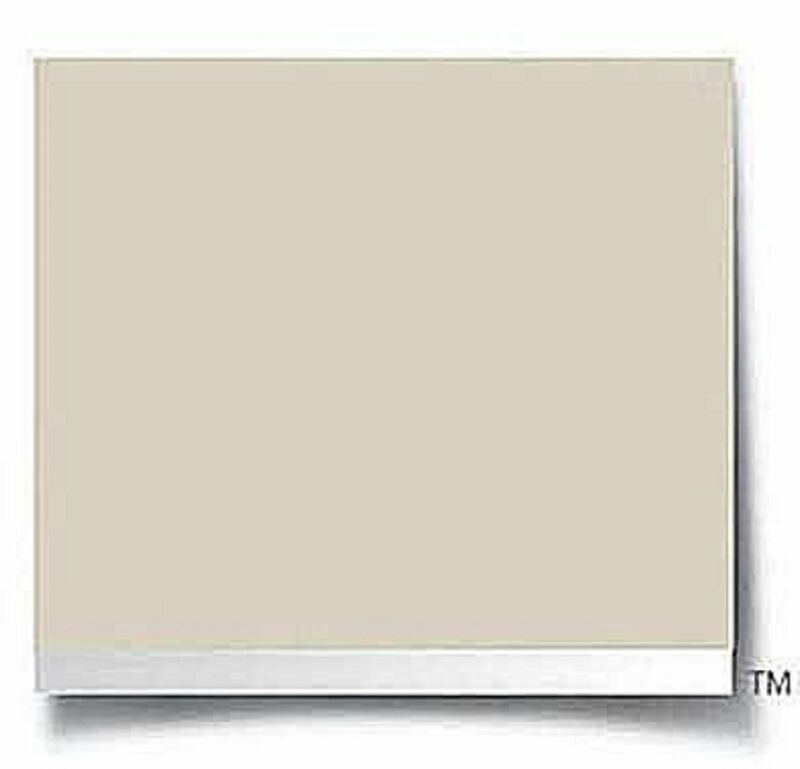 As soft and foggy as its name suggests, Cloud from Dunn-Edwards is a perfect compromise between the lighter and darker ends of the gray spectrum. This sophisticated, contemporary paint plays well with both pastels and darker colors, making it very versatile and easy to work with. If you're looking for a gray that is truly neutral, give Fine Grain from Dunn-Edwards a try. It is a soft shade somewhere in between beige and gray, with a warm undertone. It's neutral enough to work with any other color, but not boring or wishy-washy on the walls. Heat it up with touches of red and black, or keep it serene with blues and greens. A bold gray with a silvery-blue undertone, Magnetic Gray from Sherwin-Williams looks like the sea on an overcast day. Combine this tranquil hue with whites and neutrals for a soft look, or add a touch of drama with bold, deep colors for contrast. Red, black, pure blue and eggplant are good choices for a strong palette. Is it gray or is it mossy green? Benjamin Moore's Mesquite has definite green undertones, but in most light, it appears as a foggy gray. It works well in a country bedroom, but it can go modern when used with darker shades of gray or green. Combine it with a palette of browns for a sophisticated, contemporary vibe. A lovely, pearly shade of medium gray, with just a hint of blue, Graytint from Benjamin Moore is dark enough to make a splash without being too dark or overwhelming. 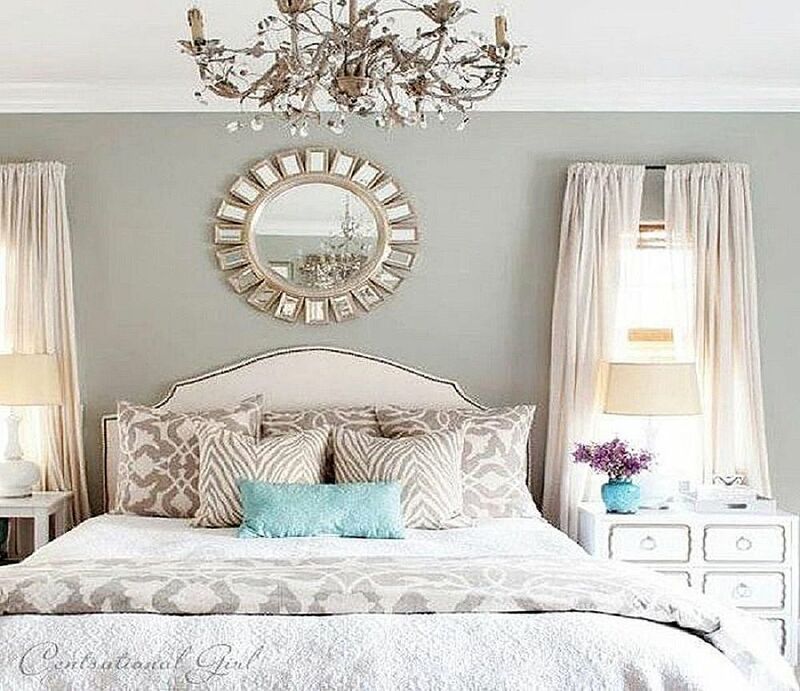 It's a gray that is equally feminine and masculine, so it works perfectly in a shared bedroom. Chelsea Gray from Benjamin Moore is a deep gray that makes a statement. Unlike many deep shades of gray, it has a warm undertone, and it's flattering and soft rather than foreboding and gloomy on bedroom walls. Mix it with a palette of softer colors, and it will give your space a dreamy, rich vibe. Picture touches of creamy white, pink, tan or soft blue against this strong gray. Bedroom walls colored in this deep, rich gray might not be for the faint of heart, but what a dramatic, moody statement those walls will make. Downpipe from Farrow & Ball is a pure gray that pairs beautifully with lighter hues of cool colors, or with white.